We work closely with the SBA, USDA and other government agencies to help our customers maximize capital resources. Whether you are looking to purchase, refinance or build real estate, buy or refinance equipment, acquire a business, or finance the growth of your business, we will work with you to help dreams come true. SBA and other government guaranteed loan programs offer many advantages over traditional financing such as lower monthly loan payments and lower initial down payments. Your business can take advantage of these government guarantees while working with your local community bank. 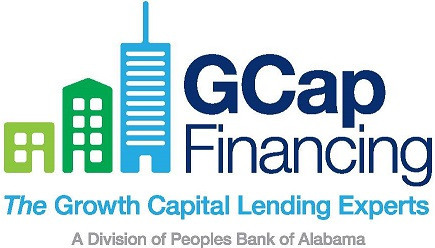 You can rely on GCap and the Peoples Bank of Alabama team to be your preferred lending resource. GCap stands for Growth Capital. In other words, this is when you leverage your precious cash to get the maximum bang for your buck so you can grow and expand your business. We know how hard you have worked to get your business going and we want to help you take it to the next level. GCap Financing offers a full array of financing tools to help you purchase, construct or expand your owner-occupied real estate, refinance or purchase equipment and provide working capital while helping you maximize your capital. Leverage our decades of experience in helping business owners meet and exceed their goals. We welcome the opportunity to add your business to the long list of satisfied customers.